Most people think losing weight is hard but increasing weight is pretty easy. Well, it is partly true! Putting on weight is easy, but gaining weight without affecting your health is a bit tough. So, instead of munching on these fast foods to gain weight, you can follow this healthy high calorie protein rich diet chart to increase your weight. With a perfect 3000 calorie diet plan, one can easily gain weight within a very short period of time. 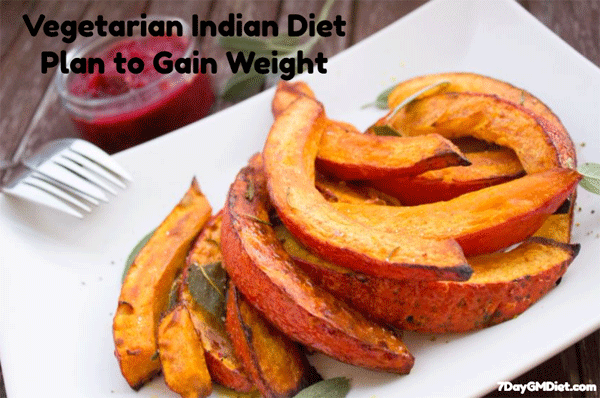 In this article, I’ve suggested the Indian diet plan to gain weight for both vegetarians and non-vegetarians. Choose the one that suits your nature and pump up your weight easily. 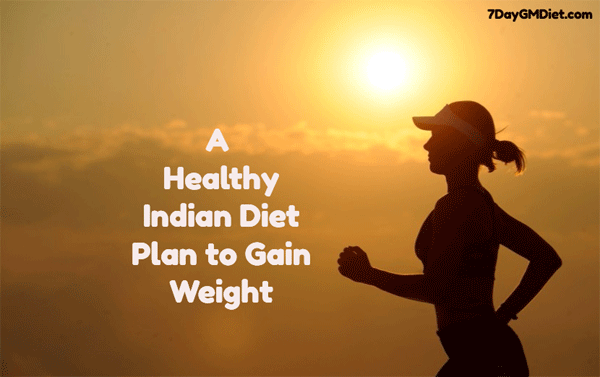 How this 3000 calorie Indian Diet Plan works? The weight of a person depends on a simple mathematical calculation. Below is an example for better understanding. Weight Loss: If you burn more calories than you consume, then you’ll likely lose weight naturally. Read our 1200 calorie meal plan and 1500 calorie meal plan for weight loss. Weight Gain: If the amount of calories you eat is more than the amount of calories you burn, then you’ll easily gain weight. Weight Maintenance: If the calorie consumption equals calorie burn, then you’ll neither gain nor lose your weight i.e, you’ll be in the maintenance mode. Find out How Many Calories You Need to Lose, Gain or Maintain Weight? That being said, eating just the calories won’t do any good to you. It is also recommended to follow a strict diet plan that consists of good quality proteins and other nutritious foods. All the suggested food items are rich in proteins and vitamins that are required for a proper functioning of your body. They’ll help you gain weight without affecting your health. Morning Snack: Prepare a Banana Almond Milkshake using 250 ml skimmed milk, 2 Bananas and 6 to 7 Almonds. You get around 380 calories and 12 grams of protein. Breakfast: Moong Sprout Dosa with Chutney and Sambar (or) Paratha with Vegetable or Paneer Curry. You get around 450 Calories with 7 to 9 gms of protein (depending on what option you choose). Mid-Morning Snack: 100 gms Boiled Chickpeas and 50 gms of roasted Groundnuts. This gives you around 450 calories and 21 gms of protein. Lunch: 2 Chapatis with Ghee and Dal Curry + 1 bowl Vegetable Salad + 150 gms curd. You’ll be getting 600 calories and 24 gm of protein. Afternoon Snack: Dry Fruit Chikki & Lassi with Sugar. There are around 300 calories & 14 gm protein in these snacks. Evening Snack: 1 Cup of Tea/Coffee with Sugar & Marie Gold Biscuits. You get 200 calories & 2 gm protein. Dinner: Brown Rice Pulao with Sprouts & Paneer + 150 gms Curd. You get 450 calories and 24 gms of protein. Before Bedtime: Banana Milkshake without Almonds. You get roughly 330 calories and 9 gm protein. You’ll be getting a total of 3160 calories and 115 grams of high quality protein from this vegetarian meal plan for weight gain. Breakfast: Whole Wheat Bread toast (4 slices) with 2 tbsp Peanut butter. You get around 460 Calories with 22 gms of protein. Mid-Morning Snack: 2 Hard Boiled Eggs or Omelette with 2 whole eggs & ghee. This gives you around 200 calories and 12 gms of protein. Lunch: 2 Chapatis with Ghee and Chicken Curry + 1 bowl Vegetable Salad + 150 gms curd. You’ll be getting 650 calories and 30 gm of protein. Evening Snack: 50 gms Roasted Peanuts, 1 Cup of Tea/Coffee with Sugar & Marie Gold Biscuits. You get 300 calories & 24 gm protein. Dinner: Brown Rice Pulao with Chicken + 150 gms Curd (or) Grilled Fish with Brown Rice & 150 gm Curd. You get 450 calories and 30 gms of protein. 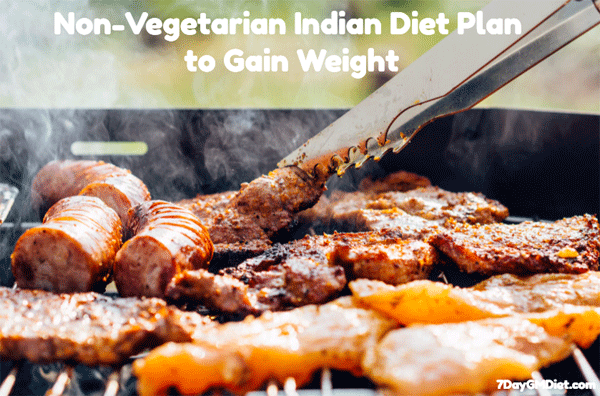 You’ll be getting a total of 3070 calories and 150 grams of high quality protein from this non-vegetarian meal plan for weight gain. You can include these healthy & high calorie foods in your diet to increase your weight naturally in just one month. Healthy Fats and Oils: Extra-virgin olive oil, coconut oil, avocado oil etc…are very high in calories and contain good amounts of healthy fats. Milk: It provides a balance of proteins, carbs, healthy fats and is also a good source of Calcium. Try to get whole-fat milk if you’re looking to gain weight. Yogurt: A healthy mix of proteins, carbs and fat. You can use Yogurt in salads, smoothies and even protein shakes. Cheese: It is high in calories, fats and also protein. Can be added to most dishes. Rice: Good source of carbohydrates and contains very little fat. Dry Fruits: The dried fruits such as Apricot (figs), Dates are a good source of energy and can help you increase weight naturally. Meat: They are highly rich in protein content and can also help you put on some pounds besides muscle. Eggs: One of cheapest yet most healthiest muscle-building foods on our planet. They give high-quality protein and healthy fats. Seafood: Prawns, salmon and oily fish are a very good source of protein and healthy fats like Omega 3s. It is recommended include seafood twice in a week for good health. Avocados: Loaded with healthy fats and can be added to most of your meals. Whole Grains: Whole wheat chapatis and whole grain bread are a very good source of carbs that help you in gaining weight. It is recommended to try this diet for at least a month to see the results for yourselves. However, once you gain weight with 3000 calorie meal plan, it is suggested to stop this and re-calculate your calorie needs based on your then BMI and eat that much calories to maintain your weight for a longer period. Previous Post:Kalonji Seeds Oil Benefits for Weight Loss | How to Use it?